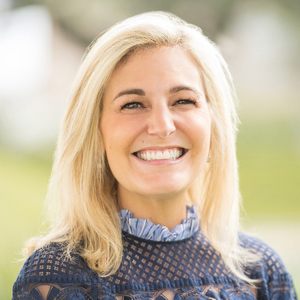 A Top Producer since 2014, Rachel Conkling is a long-time Houstonian with a passion for real estate and an energy level that is unmatched. Buying or selling a home can be complicated and stressful, and Rachel’s goal is to make the process as smooth and enjoyable as possible from start to finish. Rachel thrives on guiding her clients during the home sale or purchase process, always an exciting, yet emotional milestone in people's lives. "I am a bubbly, happy person and my patient, positive, upbeat approach, paired with constant communication, seems to calm a lot of nerves," says Rachel. It is evident that her approach and knowledge throughout each transaction, have contributed to her remarkable success from day one: At her previous broker, she was inducted into their Hall of Fame in 2019, recognized as the top producing new agent, 2014, received the award for Most Transactions with Buyers, 2016, and was one of the Top 25 Producing Agents 3rd Quarter 2016 and 2nd Quarter 2018. She was selected as one of the Houston Association of Realtors "Top 20 Under 40 Rising Stars," 2015. Rachel specializes in all areas "inside the Loop" and "just outside the Loop" including; The Heights, Oak Forest/Garden Oaks, Montrose, Rice Military, West University, River Oaks, Tanglewood, Briargrove, Spring Branch, Memorial, Memorial West, and Bellaire. Rachel graduated from Second Baptist High School in Houston. She comes from "a long line of Longhorns," graduating from the University of Texas, Austin, where she was a member of Pi Beta Phi. Later she earned an M.B.A. from Houston Baptist University. She is a member of St. Martins Episcopal Church, serves on the board for The Children's Fund, Inc., and is a member of the Salvation Army Women's Auxiliary. Rachel and her husband are the proud parents of two little girls and enjoy living in the Heights. “Rachel never ceases to impress! She dedicated so much of her time and attention to the sale of my home, and I couldn't have asked for a smoother experience. Thank you Rachel for your ongoing enthusiasm, positivity, excellent communication, reassurance and professionalism!!" “Ms. Conkling is an exceptional realtor with superior knowledge of the market, a friendly demeanor and sincerity in finding the right home for her client, and a diligence and perseverance to assist her client to best purchase experience she is able to provide. We are grateful for her service on this matter and look forward to working with her again in the future." “This is my second time working with Rachel, and I couldn't be happier with my overall experience. I have now worked with her on the buying and selling side, and she is equally impressive on both ends. She has wonderful communication skills, she is so knowledgeable and organized, and makes the process smooth and easy for her clients. Her attentiveness, helpfulness, enthusiasm and overall love for her job makes this experience a great one. Thanks, Rachel!"